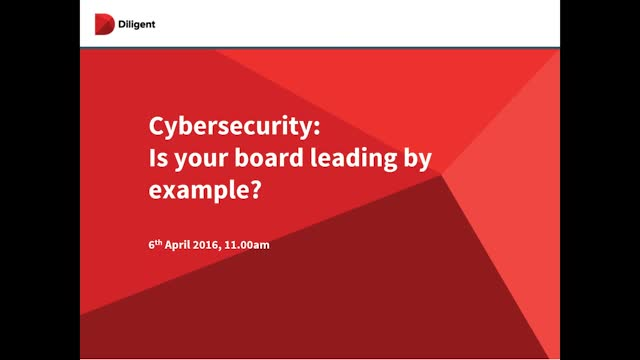 Cybersecurity- Is your Board Leading by Example? Cyber risk continues to be a major concern for the boards of UK & Irish companies. In fact, ICSA's latest Boardroom Bellwether study, which canvasses the view of boards within the FTSE 350, found that around three quarters of companies believe that the threat of cyber crime is increasing and no one believes that the threat is decreasing. It is increasingly clear boards need to take the lead in engaging with and mitigating all kinds of cyber-risk. Title: Cybersecurity- Is your Board Leading by Example?